Talk is the medium through which children learn; and yet children may not realise why their contributions to classroom talk are so important. 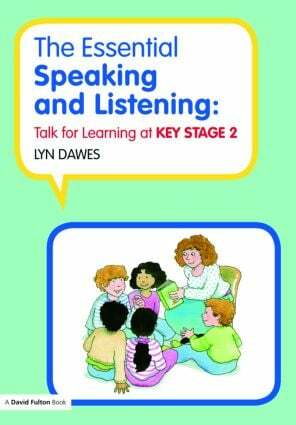 This book provides teachers with resources for developing children's understanding of speaking and listening, and their skills in using talk for learning. The inclusive and accessible activities are designed to increase children's engagement and motivation and help raise their achievement. Children will be guided to make the links between speaking, listening, thinking and learning and through the activities they will also be learning important skills for future life. Teachers, education students and teacher educators will find a tried-and-tested approach that makes a difference to children's understanding of talk and how to use it to learn.